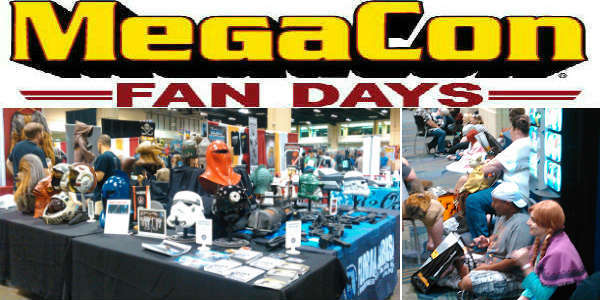 After a busy week at IAAPA, I headed over to the other side of the Orange County Convention Center to check out MegaCon Fan Days, a shorter version of the annual MegaCon fan convention that occurred earlier this Spring. 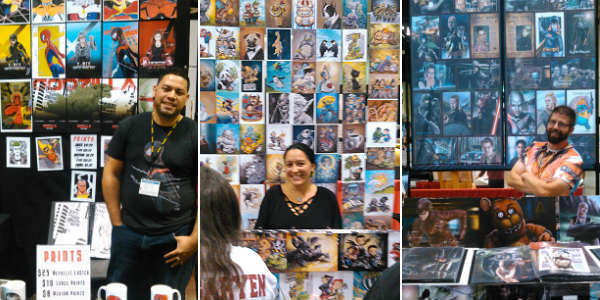 The two days were jam packed with celebrity panels, cosplay, artists booths and more. 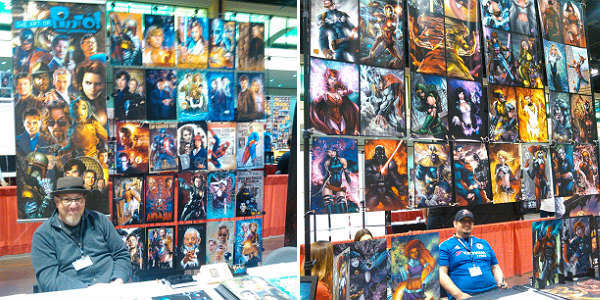 I spent the majority of my time in the panels, as MegaCon booked several guests that I was interested in seeing. I heard wonderful stories of filming the Lord of the Rings movies from Billy Boyd (Pippin) and John Rhys-Davies (Gimli), in depth discussions of scenes from Buffy the Vampire Slayer from James Marsters (Spike), stories of working with Joss Whedon on Firefly from Sean Maher (Simon), and behind the scenes stories of filming Sons of Anarchy from Ryan Hurst (Opie). On Sunday, I headed over to check out the exhibition hall with all of the memorbilia vendors and artist tables. I spent the most time at the artist tables thoroughly geeking out at all of the talent. I got to meet one of my favorite artists, Karen Hallion, and I was wearing the Stitch and BB-8 mash-up shirt she designed with Brandon Kenney, so they both posed for a photo with their sketch. I also met a local author, Emilyann Girdner, who had copies of the first two books in her young adult Obsidian Series available for purchase at the table. She was kind enough to autograph The Labyrinth Wall for me, which I’ll be reviewing over at zengrrl.com next month. I should also mention all of the awesome cosplayers in attendance, dressed as characters from sci-fi, fantasy, and even Disney. MegaCon was recently acquired by Fan Expo, which produced fan cons in Canada, as well as Dallas, and if this weekend was any indication of what they can do with a fan con, I can’t wait to see the full MegaCon next year. It will return to the Orange County Convention Center May 26-29, 2016. Visit megaconvention.com for more info. 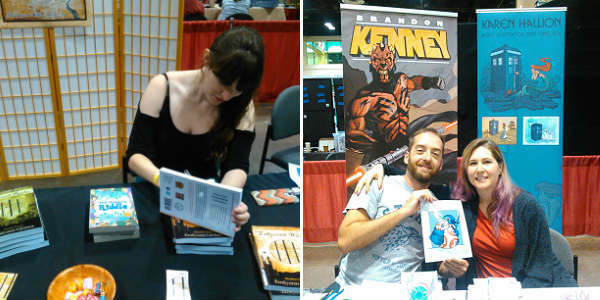 Disclaimer: I was a media guest of MegaCon/Fan Expo. As always, my opinions are honest and my own.